Monroe 2/3 mirrored chest with large crystal handles . Here we are proudly introducing an amazing new piece of furniture addition to our huge , over expanding mirrored furniture range. This chest of drawers is perfect to add to any room to make it look very rich and stunning. 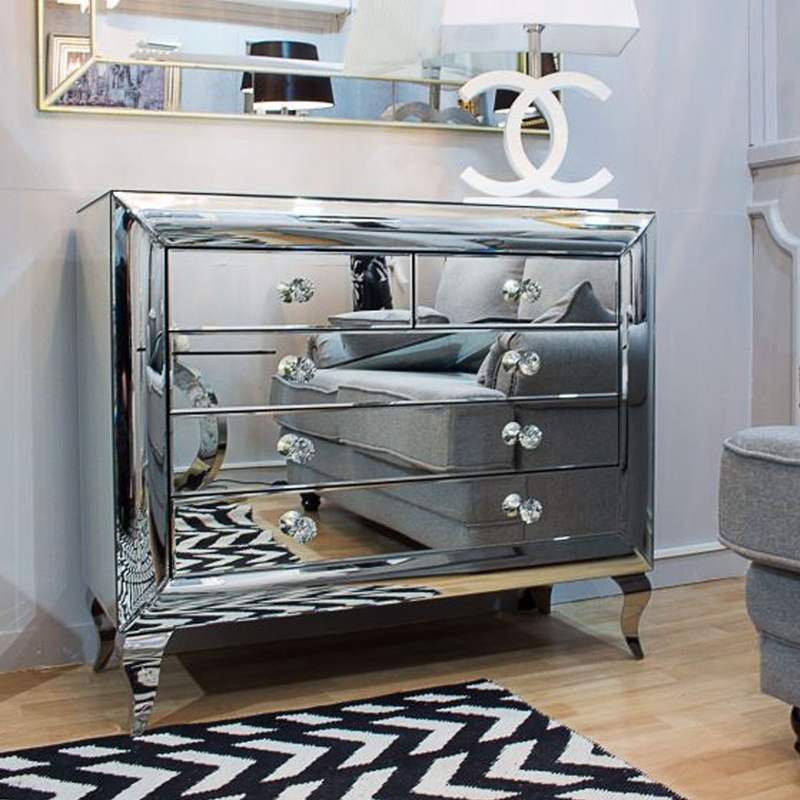 This Monroe collection also comes along with mirrors and end tables to give your room that full Monroe Designed look.